As you may already know, I’ll admit I’m a chocoholic! I can eat chocolate anytime of the day. Fortunately now they say that in moderation dark chocolate can be good for you. Yeah! I’m all for that! The holiday gives me all the more reason to bake anything chocolate or cook up batches of chocolate candies. There’s a ladies tea room here in town that I often go to with my mom, sisters and daughter for lunch. When checking out at the register they would have bowlfuls of chocolate caramels. However, the past couple years they no longer offer them. This was a huge disappointment to me. Nevertheless, I searched hi and low for a recipe to make them myself and indeed found one that I think is even better than the tea room, plus I tweeked this one a bit and now it’s superb, IMO! 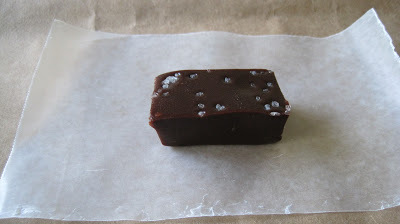 Salted Chocolate Caramels make a perfect holiday gift. Although a bit more expensive to make than many homemade treats they’re well worth it. 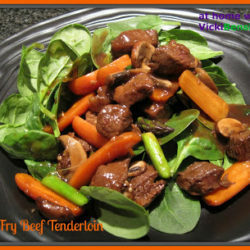 I altered this recipe slightly by using Lyles Golden Syrup to replace the light corn syrup. Lyle’s incredibly buttery flavor made all the difference in the world. You can find it at many grocery stores, World Market, international food stores or online. 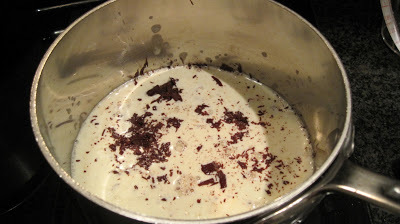 Bring cream just to a boil in a 1- to 1 1/2-quart heavy saucepan over moderately high heat, then reduce heat to low and add chocolate. 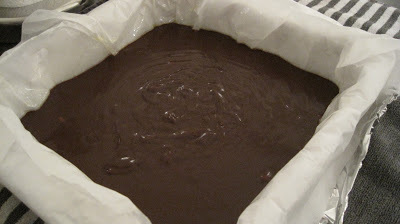 Let stand 1 minute, then stir until chocolate is completely melted. Bring sugar, corn syrup, water, and salt to a boil in a 5- to 6-quart heavy pot over moderate heat, stirring until sugar is dissolved. Boil, uncovered, without stirring but gently swirling pan occasionally, until sugar is deep golden, about 10 minutes. Note: Do not rush this step. 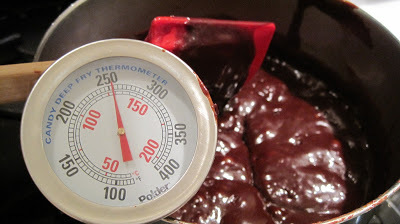 It may feel like it takes a long time for the caramel to reach this temperature, but if you try to rush it by turning up the heat you will burn it, and waste all your ingredients. Be patient and you will be happy with the results. 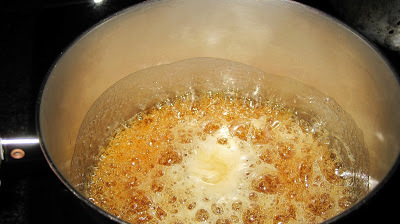 Add butter, stirring until completely melted, then immediately pour into lined baking pan (do not scrape any caramel clinging to bottom or side of saucepan). 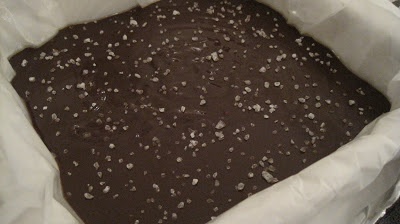 Let caramel stand 10 minutes, then sprinkle evenly with sea salt. Cool completely in pan on a rack, about 2 hours. 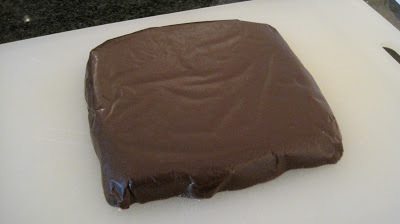 Carefully invert caramel onto a clean, dry cutting board, then peel off parchment. 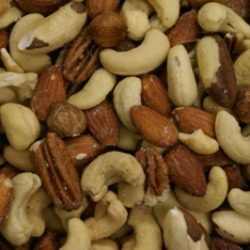 Word of Caution: It’s best to give these away as gifts otherwise you’ll eat them all yourself! This caramel is also wonderful smothered over an apple for an outrageously delicious Caramel Apple. 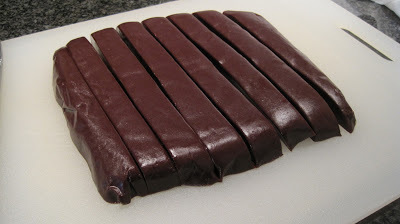 I love homemade candies like this! I’ll have to look for that Golden Syrup too. I just laughed at your word of caution.I don’t think I would be able to give these as gifts. I eat one piece of chocolate everyday. Vicki, oh my these look amazing I know I would not be able to resist a nibble here there and everywhere! And I just happen to have a bottle of Lyles in my pantry that I brought home from my last visit with my daughter in London………….mmmmmmmmmm – looks like I’m in trouble! 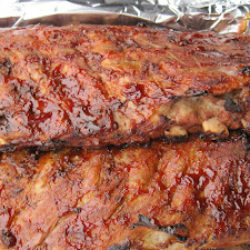 Hi Vicki, I’m picking up the Lyles to make these beautifully delicious homemade, but so professional looking!, candies. I hope I have the patience to turn out a perfect looking pan of these beauties! Who wouldn’t enjoy receiving these for a holiday gift? Thank you all for your comments. Yes they are delcious and addicting but well worth the time standing over the stove to make. Figure you’ll get a great facial steam while making them. I highly recommend the Lyle’s Golden Syrup, I think it made a world of difference from an ordinary chocolate caramel to one that people WOW about! 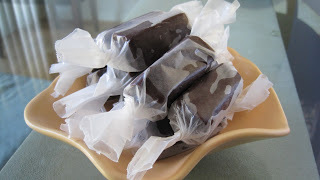 I was thinking to make salted caramels for a while now, but never had a recipe from a RELIABLE source. But now, I am happy that I have the recipe from your blog post and thus, I am confident in trying the same as YOU approved the recipe! Thank you!! Yum, Vicki! I don’t think you can go wrong with an Epicurious recipe. These look amazing! These look really interesting (tasty, too!). I may have to give them a whirl. I’m really interesting in the Lyle’s Golden Syrup – I’ve heard of it, but never used it. Is this now your standard corn syrup? Or does using Lyle’s only make a difference in certain recipes? Anyway, thanks for a really informative post. I love the deep flavour of golden syrup so I know these are amazing! Scrumptious treats, perfect for the holidays! I’m a chocoholic too – if you me these, I think I’ll be all set for the holiday treats. 🙂 Looks yummy! This is something I’d love to try making, but feel kind of intimidated by. 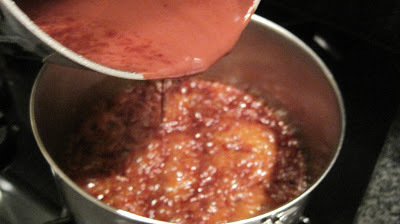 I’d love to take a class on caramel making. Oh my, these sound wonderful! I will have to look for the Lyle’s golden Syrup–I hope I can find it! P.S.–I have not had a chance to try out my new cookie press. I hope to try it out tomorrow or this weekend. I hope to take pics and blog about it too! Who isn’t a chocoholic! 🙂 I love the idea of creating homemade candies, it’s so much better in terms of taste and it’s a fun thing to do too! Purabi I think this is a great recipe. There are several steps to it but well worth the results. Parsley Sage I feel like these candies would be more unique to give and if you’re dreading making cookies – maybe switch it up a bit, to keep from getting bored. Kitchen Riffs – I definitely think you could replace it for corn syrup but I’d recommend tasting it so you could make that decision. It tastes smooth, buttery and rich. I made my gingerbread trifle last year for the first time using Lyles and couldn’t believe the results. The cake was so moist and delicious. I’d post the link but I’m replying from my cell. However you can find that recipe in the drop down menu. Also check out the link I provided for Lyles Golden Syrup for recipes and tips. Thank you Ann, Anh and 5 Star Foodie. Nami, it’s nice to know I’m in good company when it come to chocolate. Heavenly Housewife try not to be intimidated. You are a wonderful cook. I’ve seen the things you can make. These just take a bit of patience to get to the correct temperature but so with it. Please try them. 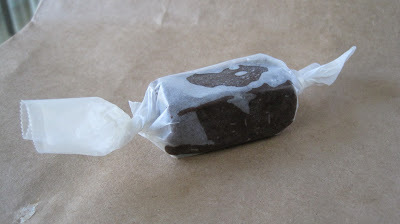 Also there are videos online showing how to make caramels. You should check them out. Those candies take passion, patience and skill! You are a kitchen professional! Jill, Divya, Carolyn and Carolyn, thank you for your kind comments. This is an easy treat to make. It looks more difficult than it is but it truely is hard not to eat it all yourself. I recommend making it for a party you’re having so you have no leftovoers or give them away. Otherwise, you might regret it later when you try on your clothes. Ir seems that everyone has the pulse on waht I am looking for for the holidays with salted caramel!! 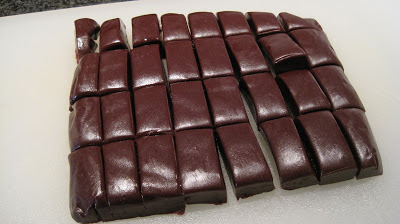 I can’t believe I’ve never made chocolate caramels! These look amazing, Vicki! 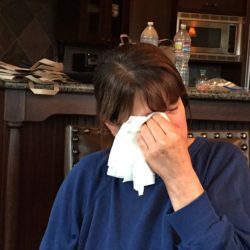 thank you so much for sharing this wonderful recipe – I really think these are the utlimate treat – now I can make them – fantastic! Just wanted to stop by to let you know that I used the cookie press, and it worked wonderfully! This is the 3rd I have owned, and is by far the nicest. I am going to make another batch of cookies tomorrow and try to take pictures. I am not a choc person neither into desserts but sure these caramels you have made will be a treat for me from time to time, lovely and I must say very tempting. These treats sound so delicious! Thanks for sharing the recipe. thanks for sharing such a delicious treat!